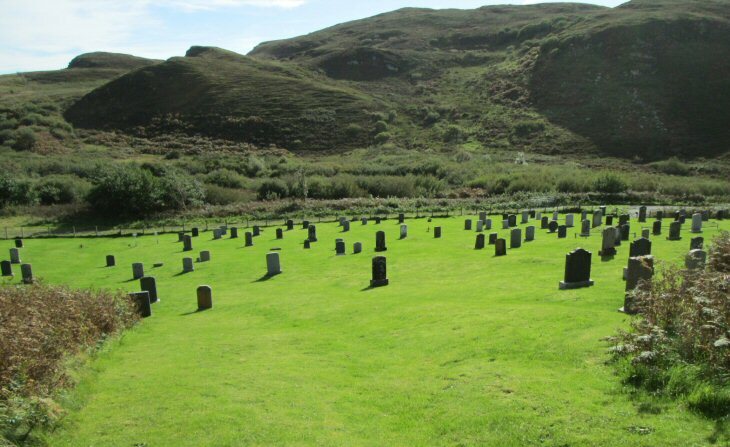 Skye Gravestones | Portnalong Burial Ground, Bracadale. Portnalong is near the entrance to Loch Harport, towards the end of the Minginish peninsula.. The burial ground is at the end of a vehicular track, off the minor road to Fiskavaig.